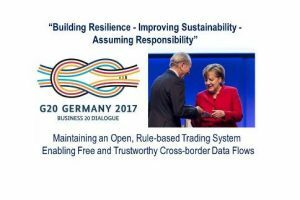 On May 3rd, 2017, the B20 has officially handed over its Policy Recommendations to German Chancellor Angela Merkel at the B20 Summit in Berlin. The recommendations are the product of a yearlong process of our seven Taskforces and Cross-thematic Groups, which comprise over 700 members from all G20 economies with BIIA being part of it. 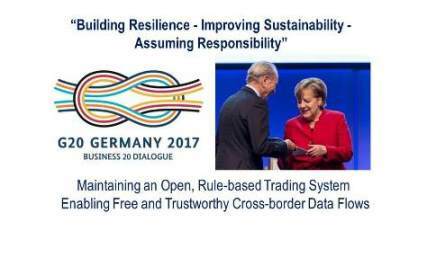 Developed under the theme “Building Resilience – Improving Sustainability – Assuming Responsibility”, the B20 Policy Recommendations span the entire scope of the G20 process: from the need to maintain an open, rule-based trading system, to facilitating sustainable finance and increased efforts to widen the inclusiveness and resilience of the labor market in the face of technological change. Chancellor Merkel said she was grateful for the strong commitment from business representatives. Policy-makers had received constructive and useful recommendations from the Business20 Summit, she said, since in the end the dialogue with civil society was key to the success of the G20 Summit in Hamburg. What is the relevance of the B20 for the business information industry and in particular for BIIA members? 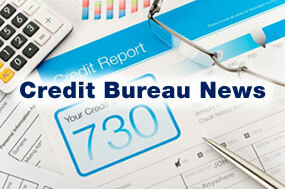 Business information in general and credit information in particular are an integral part of the business and financial infrastructure representing an important factor for economic growth. In line with its mission to support its members on matters concerning industry advocacy, BIIA participates in important international forums such as the B20. Since the inception of the B20 initiatives BIIA leadership has taken an active role and participated in the B20 SME Development Taskforce (SDTF), which was part of the B20 China presidency, the B20 SME Cross-thematic Group and the B20 Digitization Taskforce, both were initiated by the B20 Germany presidency. For our members, who provide credit information solutions, it is important to note that the value of credit reporting was expressed in the recommendations made by the SME and Digitization taskforces. The localization of data was addressed and the recommendation was made to raise this issue in trade agreements. No data transfer means no growth in cross border trade. This issue was even raised in a final panel discussion during the B20 Summit by Microsoft’s local representative. 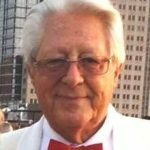 Making Use of Digital Trade Potential – The G20 should facilitate an enabling environment for digital trade by accelerating capacity building, encouraging implementation of interoperable and nondiscriminatory e-commerce-related policies, and by calling for a WTO negotiation mandate on digital trade. Facilitating SME Participation in Trade – G20 members should facilitate SME participation in trade and global value chains (GVCs) by systematically including their voice and needs in trade agreements, by fostering capacity building, and by easing business travel. Fostering Global Connectivity – The G20 should foster global connectivity through the definition of a harmonized cybersecurity baseline framework, by supporting norms for responsible state behavior, by enabling free and trustworthy cross-border data flows, and by fostering investment in ICT infrastructure as well as in skill and capacity building. Embracing Artificial Intelligence – The G20 should support the evolution of human-centric artificial intelligence (AI) and related technologies by ensuring informed public dialogues on opportunities and challenges, by supporting the development and deployment of innovation, and by accelerating the rollout of smart infrastructure. Building Digital Capacities and Capabilities for SMEs – G20 members should facilitate SME access to the digital economy by strengthening digital infrastructure outside industrial centers and expanding SME capacity building as well as knowledge exchange. Establishing Beneficial Ownership Transparency – G20 members should increase their efforts to implement beneficial ownership transparency so that risks related to the ultimate owner(s) can be identified. Recommendation 19: Recognize Compliance Efforts – G20 members should be supportive of a company’s proactive engagement by providing positive recognition of effective anti-corruption and compliance systems. Chancellor Angela Merkel said at the B20 Summit in Berlin “The very existence of the G20 means that isolationism and protectionism are a dead end and not ways to move forward. Those who attempt to restrict international competition may possibly gain short-term advantages,” she warned, without naming any specific countries, “but in the medium to long term they will weaken their own ability to innovate.” That is why freedom and openness are so important for the economy. The global economic crisis which began to unfold in 2007 demonstrated very clearly, Merkel said, that no country in the world could stop such undesirable developments and their domino effect on its own. “And no country can on its own effectively prevent such a crisis ever happening again,” she added. What was needed, the Chancellor said, was a common regulatory framework so that countries could benefit from the opportunities globalisation presented and also minimise its risks. But certain basic decisions first needed to be taken to set the right course and give everyone medium- and long-term orientation, thus reducing the risk of the crisis repeating itself. During its G20 Presidency Germany is working towards putting in place measures to mitigate global risks, Merkel explained. That involved promoting global economic stability and resilience, strengthening institutions and delivering on common standards for global public goods. Key aspects of the G20 agenda for strong, sustainable, balanced and inclusive growth would be taken forward, Merkel said. Even maintaining the status quo could sometimes be considered a success, the Chancellor added. B20 stands for “Business 20”, the official business dialogue forum of the G20 countries, the 20 most important industrialized nations and emerging economies. At the same time as Germany took over the G20 Presidency, German business representatives assumed the B20 Presidency. 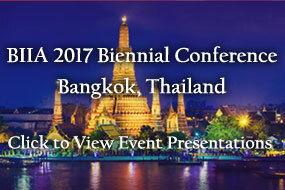 More than 700 international business representatives are involved in this dialogue process.